Detailed For Honor review with pictures. 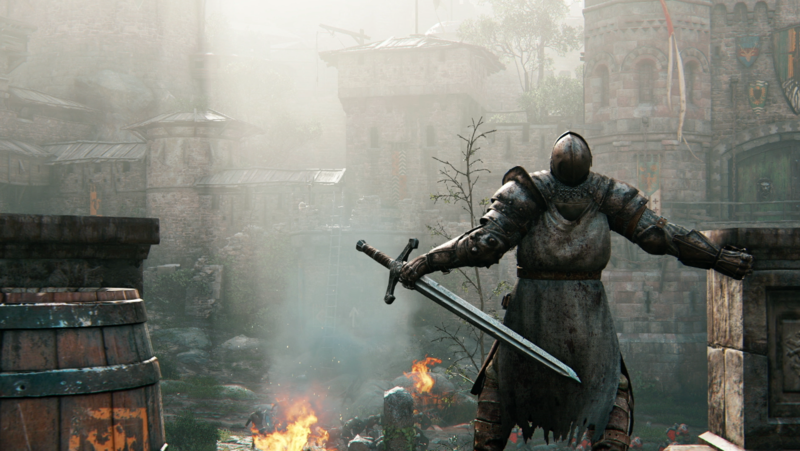 A lot is going on, if we speak about an upcoming video game For Honor. New trailers, warriors and details of the gameplay is being revealed every single day. However, don’t you feel lost between all this fresh and sometimes hard to comprehend info? At least in our opinion, all the gamers deserve to find all structured news in one website. And this is what we do. To help you understand the game better, we are going to make a full For Honor review, which we will begin by analyzing the very first demo, released in 2015. Do you know all about For Honor video game? To tell you the truth, we were actually the very first gamers, who had the opportunity to play For Honor demo version. However, we can’t say it was easily available. That special day, when the Ubisoft team announced about the released demo version, we were waiting more than four yours in a large crowd of people in order to play. In few words, it was really worth it. The game started with a short, however, really comprehensive tutorial, which take a little longer than 8 minutes. What really surprised us, was a Ubisoft team hospitality and their strong belief in their video game. Before the game was even started, they made a short introduction, during which they explained how the game works and how to control it in general. Not to mention, we were also introduced to all game characters, even thought we knew them better than ourselves. More precisely, they also showed how to block the opponent, use special fighting moves, run, jump and do all other movements, without which we would be able to play it. Beginning a full For Honor game review, we should start from the main idea that we realized after just a few minutes we started playing the game. Actually, before playing a demo version, we thought that the game will be based on a simple gameplay like all other similar content to video games. However, we were absolutely wrong. We don’t know if you remember, but at 2016 spring, For Honor game developers tried to explain that the game will be really unique and that it will have nothing to do with other fighting games. Once again, yes, they were completely right. When you play, you can feel that strange, however, most amazing feeling that you are really participating in a real battle. Everything looks so realistic that you might even get confused between a game and reality. For sure, For Honor is a fighting game, where every move counts and every action influence the rest of the gameplay. It is not that you kill your enemy and the battle is finished. No, to reach the victory, you need to be prepared really well and use the best strategy you can think of. More specifically, For Honor game is about feeling your opponent’s moves and stabs, while analyzing his behaviour. For instance, if your enemy blocks your right side, you might attack him from the left. Maybe, it can seem very simple, however the game is all made according to real life and more importantly real situations. Sadly, you can’t hide your coming move. Your opponent is able to see the arrows of your direction and block you straight away after your attempt to attack. However, in such cases you can always use a quick tap (R1) and injure your enemy. Not to mention, we have more For Honor first impressions. As we were able to find out, this is the game that is based on teamwork. For instance, if you will try to win against your enemy fighting alone, you are not going to succeed. During the matches, you must rely on your team and do everything together. Only strong team spirit can lead you to victory. One more important point we were really excited about while playing For Honor demo version, was the battlefields and the soundtrack. When it comes to high-quality, the game must have an amazing music line and of course best fields to fight. Without no doubt, For Honor just have it! Just watch the video below to make sure we are right.